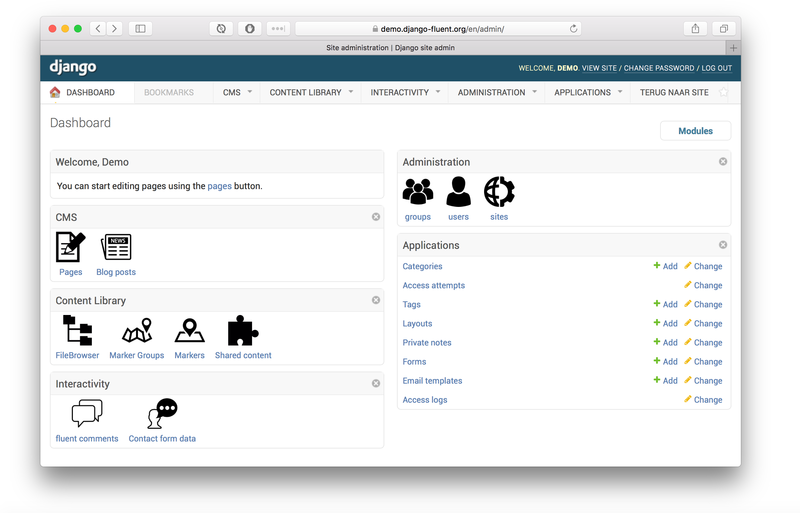 a "icon list" module for the admin homepage. a "welcome" module for the admin homepage. a "return to site" link.